Concrete mixed daily. Ask us about our custom color combinations. We rent U-Haul concrete trailers, must have a valid CA drivers license for trailer use. 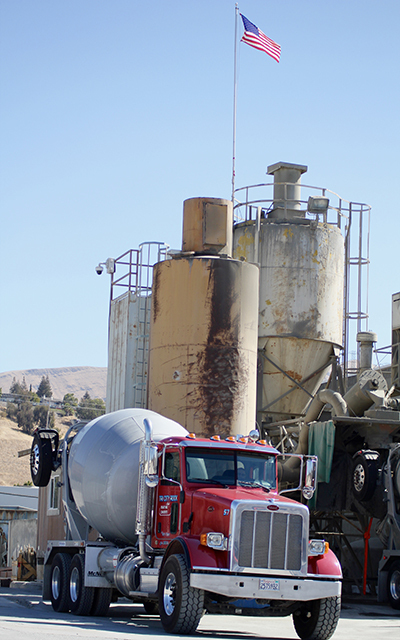 Tri City Rock delivers fresh mixed concrete to jobs of all sizes 6-days a week. 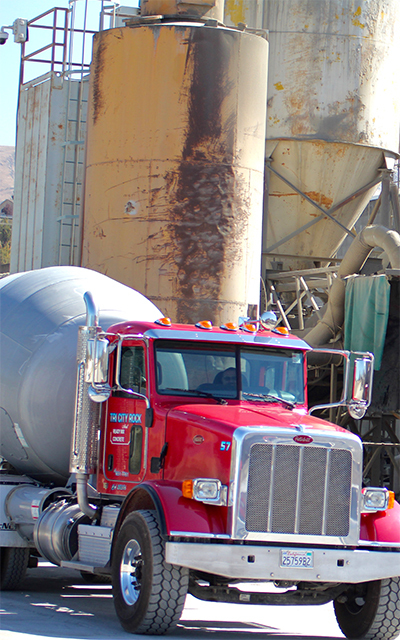 Our team of professionals load our very own concrete mixer trucks before making a delivery to your location. Small jobs receive their loads from rented U-Haul concrete trailers. You must have a valid CA drivers license for trailer use. Larger jobs can rest assured that we have a fleet of trucks to fit any size assignment. 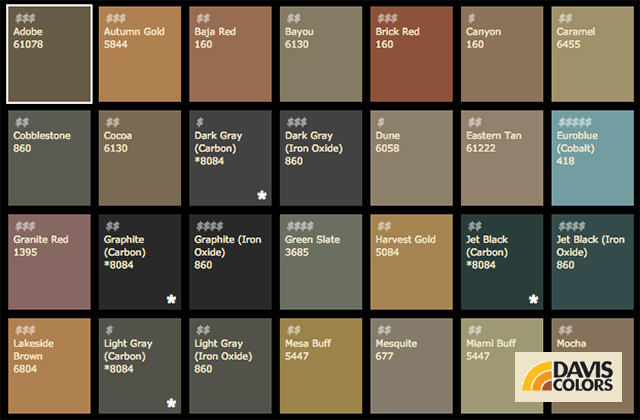 We take pride in customizing concrete designs according to one of the many pigment choices from our color chart. We offer high quality blends that are suitable for every budget – any of which are perfect for taking your project to the next level. Our Subtle Group of colors add a soft touch of style to your concrete project. 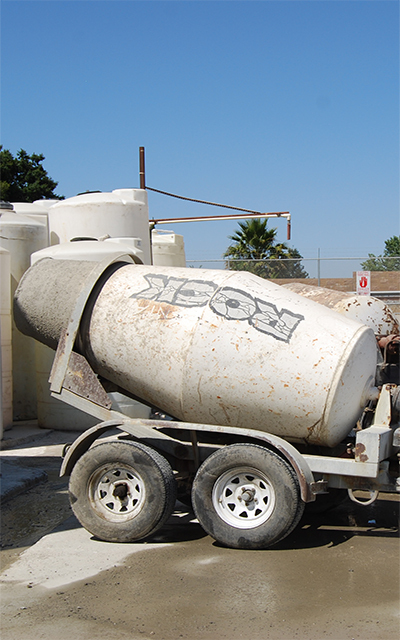 Try the Standard Group to bring a little more pop to your concrete selection. The Premium, Ultra-Premium, and Elite Group on our color chart showcases a wide range of colors that place a personal touch on your project, merging style and function as one. Some properties have a driveway, others welcome guests and customers through a grand entryway. Whether you’re looking to enhance the appeal of your home or business, our freshly mixed concrete is an easy fix to a drab exterior. No job is too large or too small. Our team of trained professionals treat each assignment with a level of expertise you won’t find anywhere else. Prompt, knowledgeable, and trained by the best, rest assured that working with Tri City Rock means you’re in good hands. Our team goes above and beyond to guarantee the satisfaction of our customers. Clients interested in creating custom colored concrete have the option to double check their choices by viewing printed color cards, and assessing hard samples available in the office. An educated consumer, is a customer for life. Tri City Rock answers any questions you may have, making sure you’re 100% aware of exactly what is required for the product you’re buying. Tri City Rock is proud to be the most reliable provider of building materials within the Greater Bay Area and throughout the rest of California.